ALIENS ™ & © 1986, 1999, 2000 Twentieth Century Fox Film Corporation. PREDATOR ™ & © 1987, 1999, 2000 Twentieth Century Fox Film Corporation. 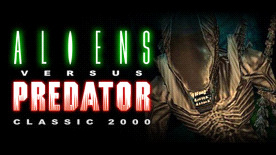 ALIENS VERSUS PREDATOR ™ & © 1999, 2000 Twentieth Century Fox Film Corporation. All Rights Reserved. ‘Aliens,’ ‘Predator,’ ‘Fox,’ and ‘Fox Interactive’ and their associated logos are the property of Twentieth Century Fox Film Corporation. All Rights Reserved.